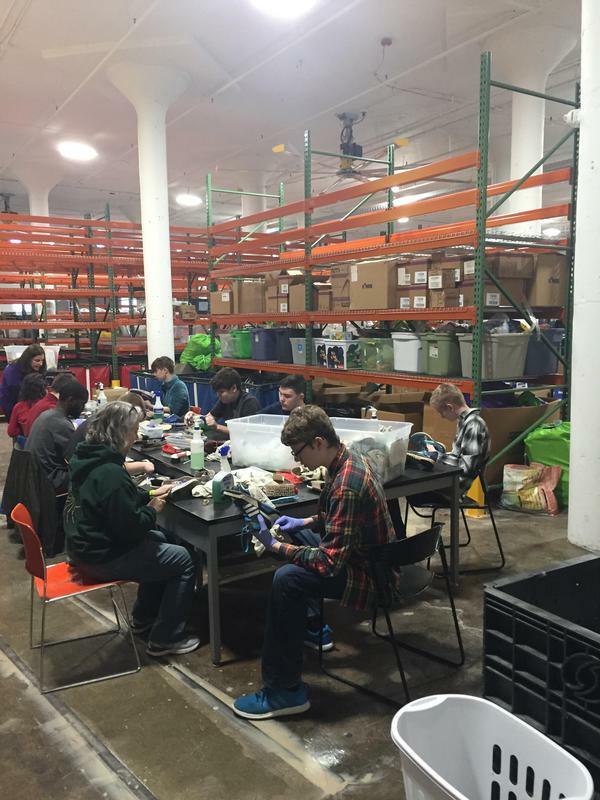 On Thursday, March 20, students from the Employability and Transition 1 visited the new Cradles to Crayons site to donate gently used clothing and their time. 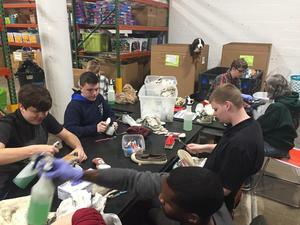 Many groups at Hill Top have volunteered time at Cradle to Crayons, an organization dedicated to making life better for Philadelphia children living in poverty. This year is not exception. For one week at the beginning of March, the Employability and Transition class ran a gently used clothing drive to benefit Cradles to Crayons. When the clothes came in, they organized and packed them for delivery. On March 20th, the students packed up the school mini vans and traveled to the Cradles to Crayons warehouse to deliver the clothes and spend the morning helping out at their facility. 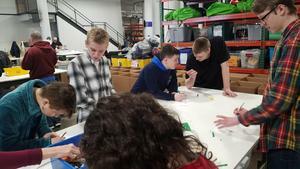 Their first task, while waiting for all volunteer groups to arrive, was to create encouraging cards that will be placed in backpacks that are given to students at the beginning of next school year. Cradles to Crayons gives out over 30,000 backpacks, so they rely on their volunteers to help make sure every student gets a handwritten note of encouragement. 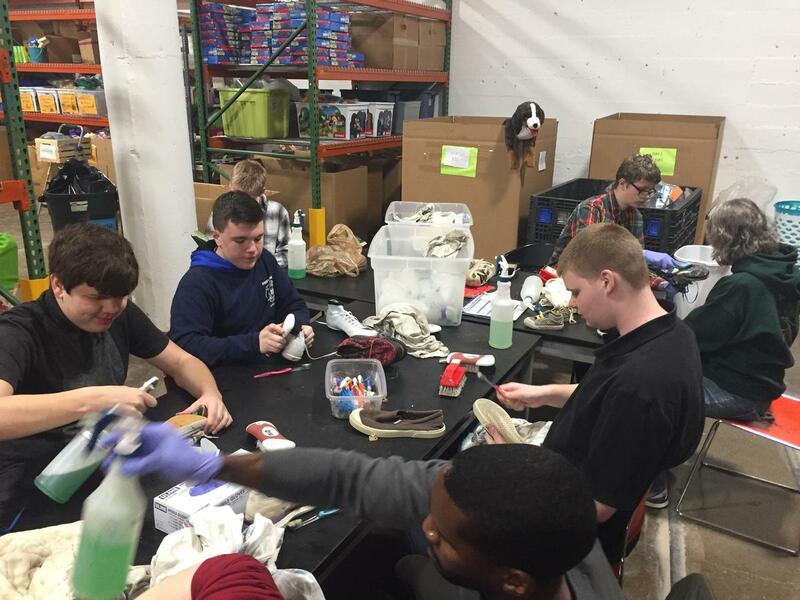 After our orientation to the organization and what they do, students were asked to help clean shoes. Many people will donate gently used shoes. In order to make sure they look as good as possible when delivered to their new owners, volunteers are needed to clean the shoes up, removing as much dirt and as many scuff marks as possible. Unsurprisingly, the Hill Top students jumped in enthusiastically and cleared out an entire bin of shoes that are now clean and shiny and ready to find new homes!